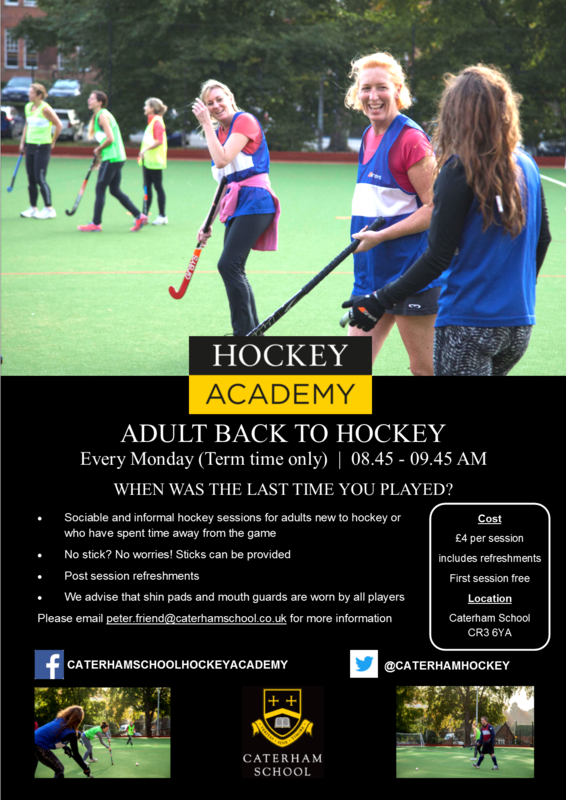 Caterham School Hockey Academy offers first class training for hockey players of all ages across the local community in addition to holiday camps during half terms and school holidays. 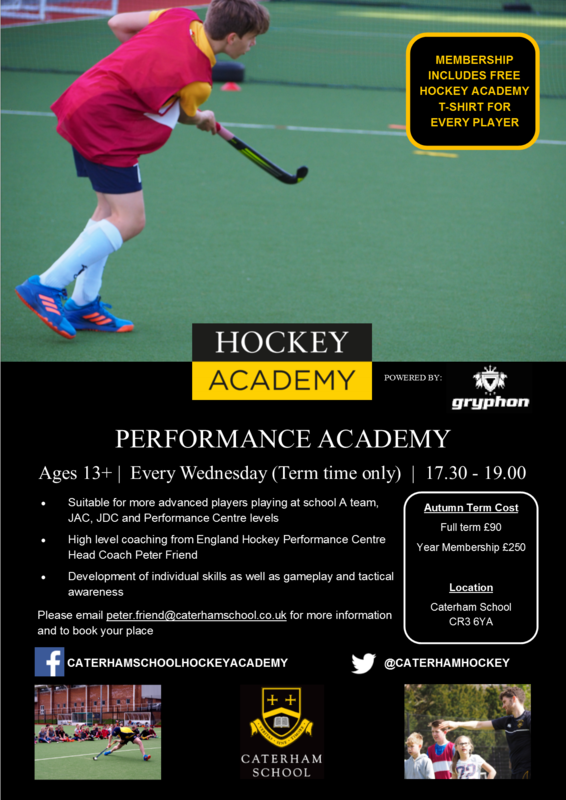 The Academy is run by Peter Friend who has over 13 years National League playing experience and plays for current National Premier League winners and Euro Hockey League contenders Wimbledon Hockey Club. Peter has played and coached in countries such as Holland, Belgium and Australia and is the Head Coach of the girls’ North Downs England Hockey Performance Centre. Peter has extensive coaching experience with children and adults at all levels. He is qualified to England Hockey Level 2 (currently working towards Advanced Coaching Programme level) in addition to being qualified in safeguarding to club welfare officer level. I believe that field hockey should be accessed by as many children and young people as possible and I aim to inspire new players to take up the sport. I also want to provide regular opportunities for players to further improve their hockey and realise their potential, regardless of their playing ability. 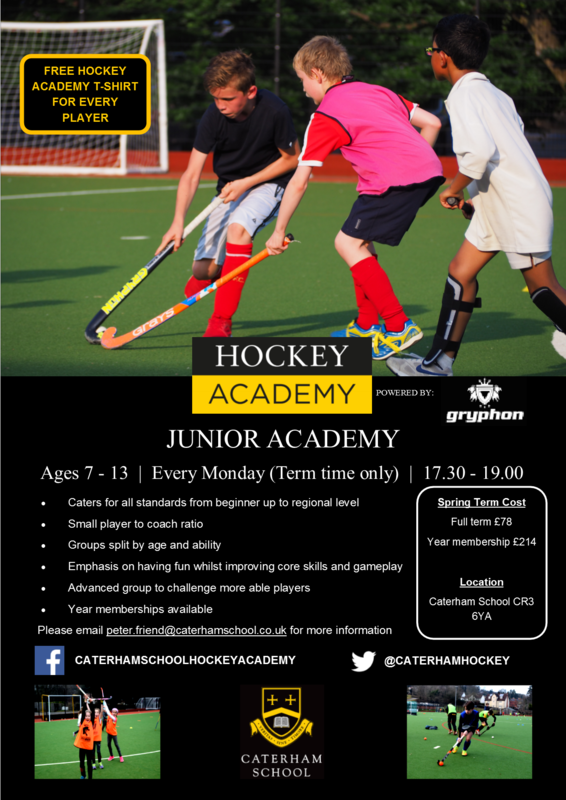 As part of its outreach programme Caterham School Hockey Academy will be offering free, taster hockey sessions for primary and preparatory schools in the local area. The taster sessions will be aimed at Year 3 and above and are suitable for all players regardless of ability and experience. The sessions will aim to develop players’ basic hockey skills and techniques through fun and engaging activities. 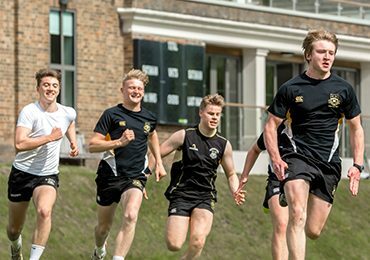 We aim to inspire players to take up the wonderful game of hockey and improve existing players to help them to achieve their full potential. 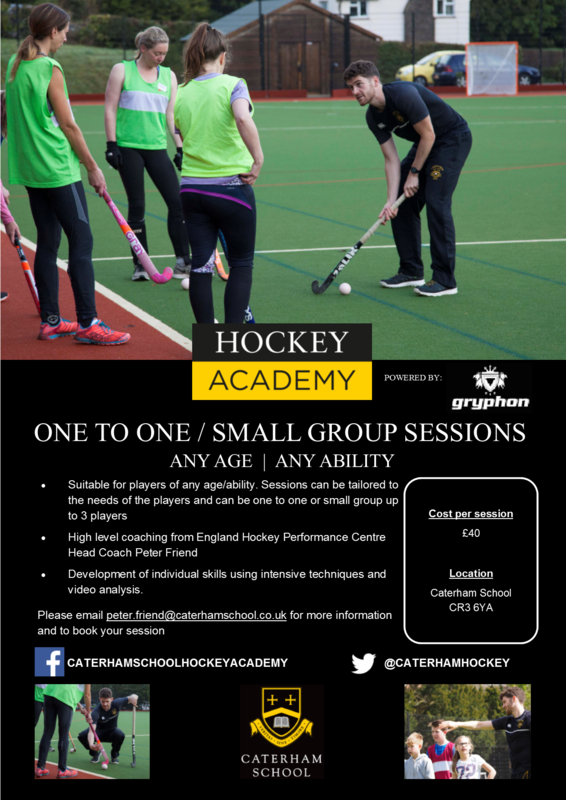 The taster sessions are led by Caterham School Hockey Academy Manager Peter Friend. 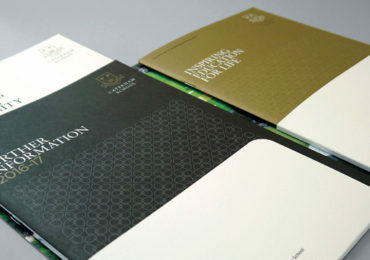 Sessions can be flexible in terms of their time or day, duration and format. 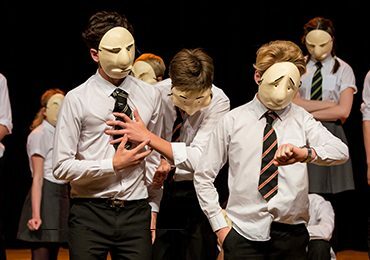 They can take place at Caterham School or your own school’s facilities and can be arranged to suit your school’s needs.